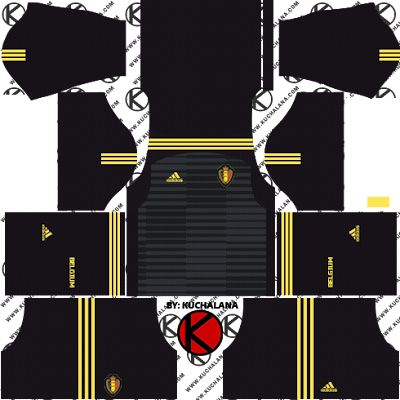 Get the new Belgium 2018 World Cup kits for your dream team in Dream League Soccer 2017 and FTS15. 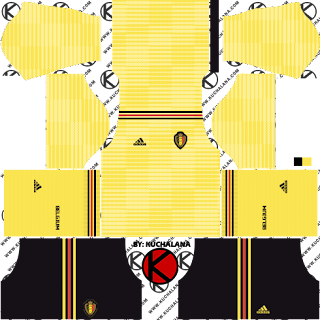 As we have already shown, the new Red Devils shirt is inspired by the 1984 model, bringing back the diamonds with the national colors, but eliminating the white background that helped them stand out on the chest. Like that shirt, the shield sits in the center, while the adidas logo sits on the right. The three strips are implemented on the sides in red. A tricolor rhombus detail appears on the top of the back. 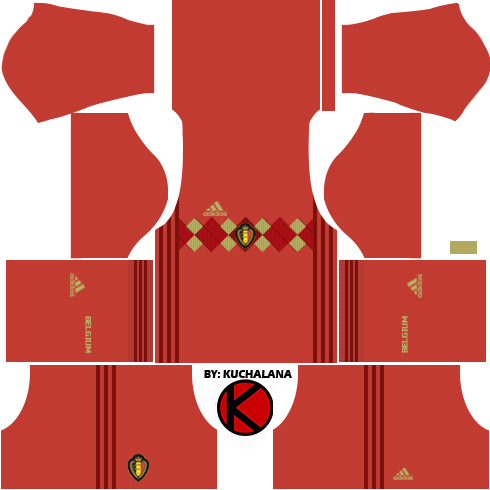 The uniform is completed with shorts and stockings in red. 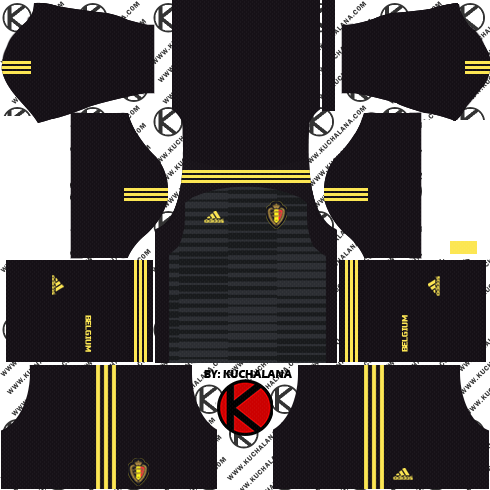 1 Komen untuk "Belgium 2018 World Cup Kits - Dream League Soccer Kits"
where second kit for gk?